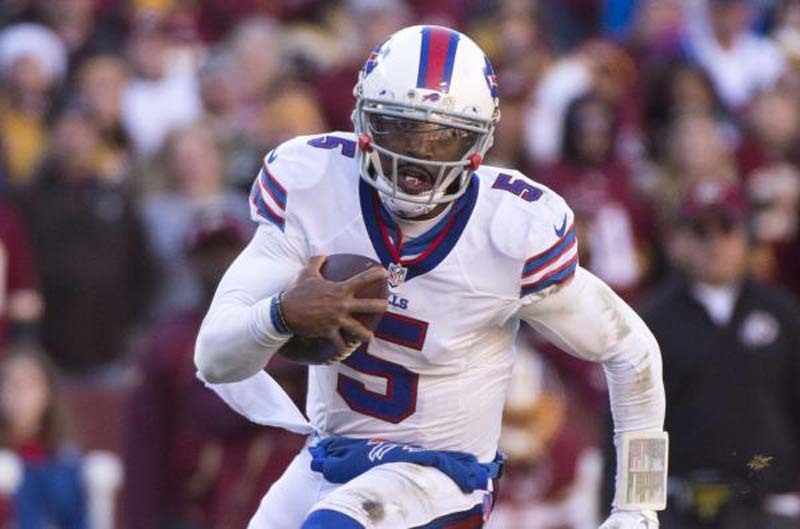 New Cleveland Browns quarterback Tyrod Taylor took some extraordinary steps to take the lead in becoming a leader for a team and fan base desperate for a winner. Taylor, who is making a guaranteed $16 million this season, paid the bill for several of his teammates to meet in Los Angeles for high-intensity workouts in July. He wanted to get as many teammates together, so they'd be ready for training camp. [post_ads]Along with veteran wide receiver Jarvis Landry, the two newcomers to Cleveland decided when and where a good place would be to schedule such workouts, the Cleveland Plain Dealer reported. "We were trying to find some kind of way to get us together and where would it be and what's convenient for most guys, and we figured L.A. would be best around ESPY time and we made it work," Landry told the Cleveland newspaper. Rookie quarterback Baker Mayfield, running backs Duke Johnson and Carlos Hyde, tight ends Seth DeValve and David Njoku, and wide receivers Corey Coleman, Da'mari Scott and Rashad Higgins met up in Los Angeles with Taylor and Landry. "It's the craziest thing I've ever seen," Higgins said. "The fact that a veteran quarterback would want to get with his guys in the offseason to build before camp even starts is just the most amazing thing that I've seen. In the past we haven't had things like that." The Browns, for the most part, have not had a quarterback exude NFL-caliber winning qualities since the days of Bernie Kosar. Taylor and Landry are trying to change the culture firsthand, which must be music to Browns fans' ears. "Tyrod paid for everything," Johnson told the Plain Dealer. "I love him. He's definitely a leader. As a veteran quarterback, he's definitely what this team needs to get over this hump." Taylor rented a house and booked some rooms at a Los Angeles hotel. He paid for everyone's flight and food and set up workouts at UCLA and USC. Both Landry and Taylor believe the workouts will pay dividends in the long run, especially with so many young players. "Even in little moments, it helps build the chemistry and camaraderie and that's all the things that we're going for," Landry said. "When you know your brother and who you're going out on the field and fighting for, and you all have a personal relationship, it makes it that much easier to play that much harder. He's done a great job with that."